Another dominant Mini Challenge R50 Cooper performance helped Jessica Hawkins assume the Sunoco 240 Challenge lead at Silverstone last weekend. The 22-year-old was in fine form en route to a pair of pole positions and race victories, as well as a further podium that not only helped to extend her championship lead but also move from second to first in the chase for 2018’s Rolex 24 At Daytona support race prize drive. An even better start to the season at Snetterton actually resulted in Hawkins’ Sunoco 240 Challenge average score dropping three points to 108.33 after Silverstone. 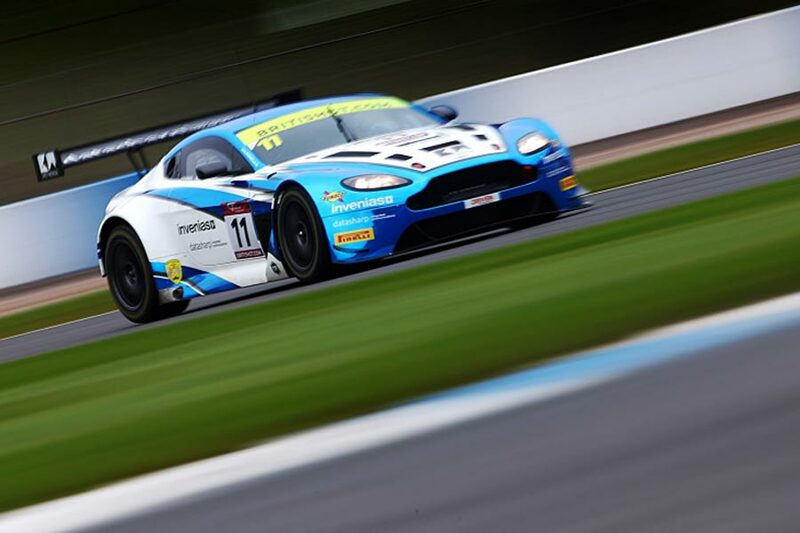 However, that total is still enough to keep her above British GT3 Am Jon Minshaw, who returns to action this weekend, by just 0.53 points. Henderson Insurance Brokers LMP3 Cup championship leader Alasdair McCaig, British GT4 Am Graham Johnson and GT3 Am Rick Parfitt Jnr also get the chance to improve their average scores this weekend. In the meantime, all three have moved up a place at the expense of erstwhile leader Shane Kelly whose tough F3 Cup outing at Silverstone resulted in his average score dropping 23.06 points. His new mark of 89.44 leaves him sixth, three points shy of Parfitt Jnr and just under six clear of Mini Challenge JCW’s leading contender, Brett Smith. The weekend’s biggest winner was undoubtedly Matt Hammond whose trio of second places and fastest laps, not to mention a pole position, have lifted the Mini Challenge R50 Cooper ace from 33rd to eighth! He started the weekend on just 53.33 points but offered a perfect illustration of the Sunoco Challenge’s average points system by improving his total by almost 30 marks. Hammond now sits just behind Smith and less than a point clear of Jacopo Sebastini who remains a fixture inside the top-10 without winning thanks to a smattering of F3 Cup podiums and fastest laps. Reigning British GT3 champion and former Sunoco Whelen Challenge winner Derek Johnston completes the top-10. With none of its eligible series in action last weekend the Sunoco Whelen Challenge table remains unchanged, with Colin Noble Jnr enjoying a healthy advantage over three British GT4 Pro drivers. However, things might evolve this weekend when Noble’s LMP3 Cup campaign continues at Spa-Francorchamps alongside GT Cup, while British GT and Mini Challenge JCW head to Silverstone. Noble will be confident of adding to his 16-point lead after claiming a brace of Radical victories at the same venue last weekend, even if those points don’t count towards his bid to win a place on the 2018 Rolex 24 At Daytona grid.